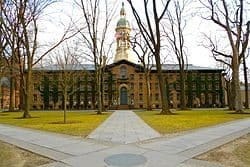 The Princeton Police Department received a bomb threat that was made through an anonymous phone call and made reference to the Princeton University campus. Following the call at about 5:20 p.m., officers from Princeton Police Department and the Princeton University Department of Public Safety conducted preliminary investigations and determined that the threat was not credible. No school buildings were evacuated, Princeton University Spokesman Martin Mbugua said.